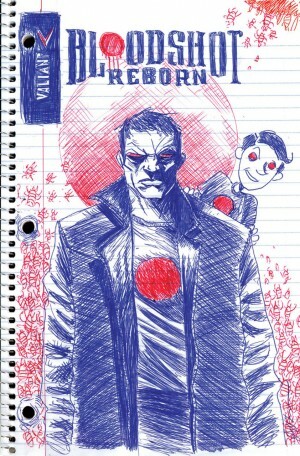 Valiant Entertainment Review & Spoilers: Blooshot Reborn #10’s Analog Man By Jeff Lemire, Lewis LaRosa, Brian Reber. Hit The Road, Ray!! The future’s so bright, I gotta wear shades. PPPFFFTT!!! Inaccurate! The future’s so bleak and it’s best to remain hidden. Stay out of sight from the Shadowmen!! L.A. cannot be any drier nor hotter. Water is scarce. The locals have some lore to distinguish them: a grizzled wizard who is off the radar of the ruthless Shadowmen. As a result, he is the default protector of the settlement. Ray Garrison is living the American Dream in peace and harmony. He has settled with his long-time love Magic. All they need is each other to be content. Ray sets out to find the much-needed H2O. 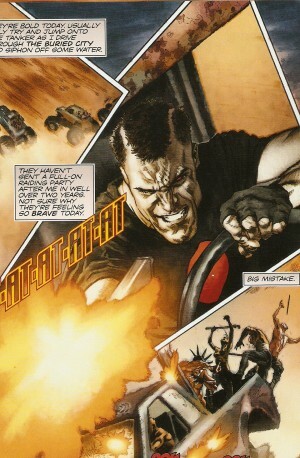 He unleashes his big rig. Ray needs to shake the cobwebs and reduce the rust off the weathered wheeler. Due to the presence of the Shadowmen, Ray ‘suits up’ summoning the nanites in his system. 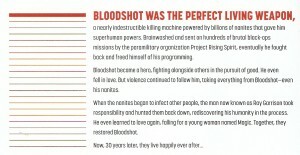 Bloodshot is indeed reborn!! 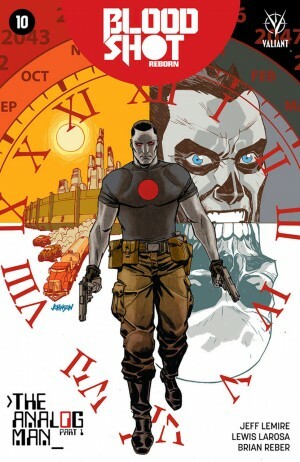 Bloodshot feels a smidge of sympathy for the lurkers but quickly erases that from his mind. The sinister world-walkers guard the precious commodity within a dam. They are ‘kind’ enough to mete out a ration but it is insufficient. Ray takes it upon himself to be a future dystopian Robin Hood. He meta-morphs into one of the X-O guards to avoid capture. Being outdated and obsolete are pluses!! The evil organization G.A.T.E. cannot scan Ray with their upgraded nanites based on the same tech that resides within his body. Either way, he remains wary. Ray disparagingly names the new tech goo. Mission successful. As he rolls out, he thinks he’s all in the clear until a caravan of Shadowmen in souped-up ATVs come at him fast and furious. Mad Max: Fury Road redux! 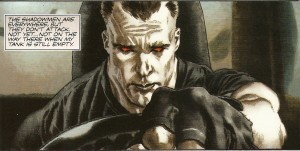 Bloodshot loads his glock and fires away. Carnage ensues and he is emerging victorious as a one-man army. I spoke too soon! 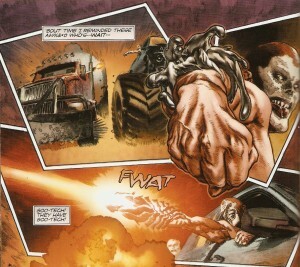 One of the Shadowmen transforms his forearm into a weapon. They are equipped with the very nanites Ray resents!! 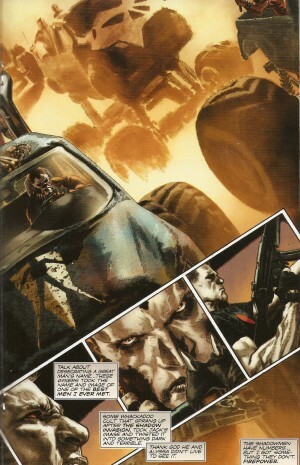 Bloodshot ends up flipping over. He has a brief memory to thirty years ago when he and Magic discuss the status of their relationship. He wants to end it to keep her safe. She refuses to be dumped. She has faith in her hunter man. She suggests they make their way to the Golden State. The albino-skinned killing machine is about to meet his maker as a trio of terror approaches him. In an intense instant, their heads are lobbed. A familiar face greets him. 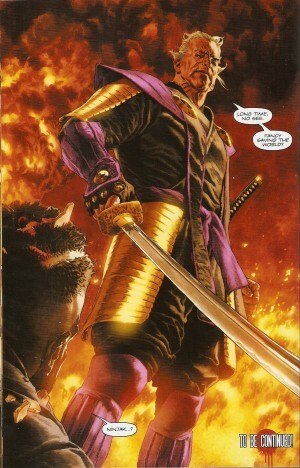 It’s his old comrade-in-arms: Ninjak!! 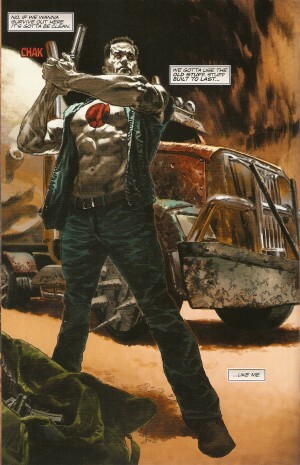 I finally tuned into Valiant’s comics last summer with the advent of BOOK of DEATH. I slapped myself for not doing so a lot sooner. I am now catching up as much as possible. That being said, the company has made good on its promise: this issue is wonderfully accessible. What I appreciated the most is that I grasped the gist. Even if I had not already begun to familiarize myself with the residents of this fictional universe, all the pieces fall easily into place. 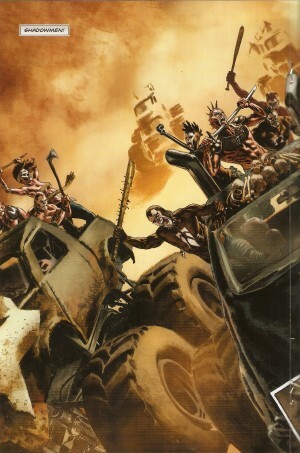 Jeff Lemire has a natural aptitude to deliver a clear-cut story, seamlessly incorporating other denizens (X-O Manowars or is that Menowar?, the Shadowmen, and the surprise appearance of Ninjak). None of this is forced. Rather, it is one tight-knit community sharing the space of a giant tapestry. It doesn’t take a genius to realize that Magic is the crucial companion in Ray’s colorful existence. Dystopia is one of the genres du jour. 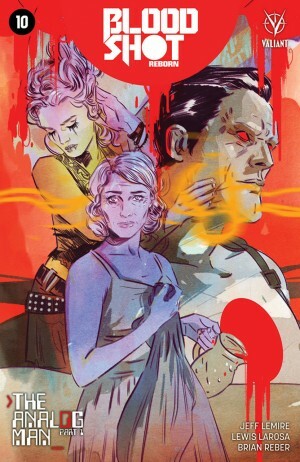 I really enjoyed this particular take since it is not bogged down in details nor is it heavily depressing. It’s so straightforward: survival. 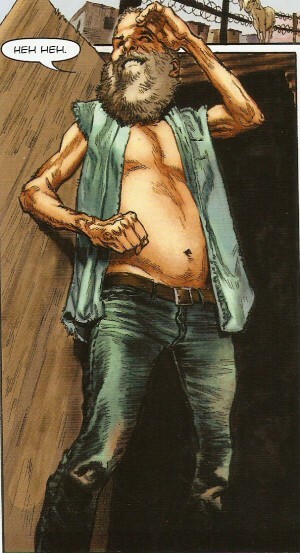 Mr. Lemire cuts to the chase. I don’t fault him for the rough road battle royale. So what if it was done before in a particular motion picture? Brian Reber makes the colours bleed in all the right places. The end result is kinescope in glorious widescreen >_< As an avid action fan, I loved the outrageous orange. The celestial cyan and the ochre of the earth make me want to go west!! He brings every single thing to life with the fine paints. Dave Lanphear makes motor magic. The multi-vehicle face-off resounded and left my ears ringing. I gleefully clapped at the crunch delivered to one of the bad men. The word balloons and narration boxes are quite replete. That’s generally not the standard fare. If ever I need a life-saving operation, I’ll ask Ray for some of his magic elixir. This issue was a rip-roaring ride, much to my absolute delight 😀 I give this 9 pints out of 10. 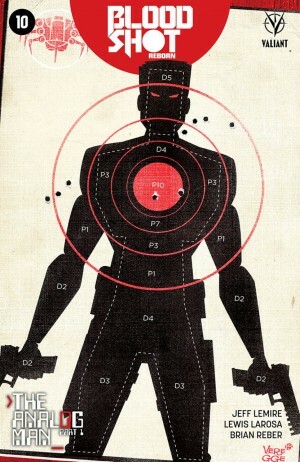 Shoot me up!! 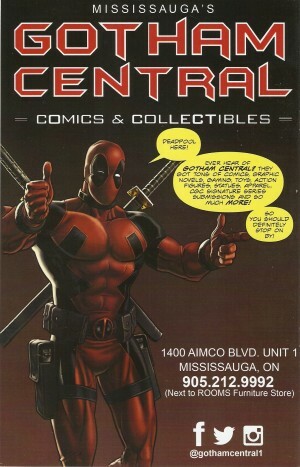 As always, my eternal appreciation to my local comic shop for this bullet-ridden bonanza!